The masked robber who held up a pair of banks and a restaurant in Carlsbad over the course of the last two months has been apprehended. Samuel Cortese, 38, of Carlsbad, was arrested Saturday on charges of three counts of armed robbery, unlawful taking of a motor vehicle, and tampering with evidence, all felonies. The arrest culminated a two-month investigation by the Carlsbad Police Department into the armed robberies of two banks – Western Commerce and U 1st Federal Credit Union – and the Subway restaurant at 2009 W. Pierce St.
Cortese wore full, Halloween-type masks, hoodies and gloves during the commission of each crime. Western Commerce was the first bank robbed on Nov. 16, 2018. The Subway was held up Jan. 7 and U 1st robbed five days later on Jan. 12. Carlsbad police investigating the credit union robbery learned the suspect was wielding a dark-colored handgun appearing to be semi-automatic, similar to a Berreta make that was described during the investigation of the Subway holdup. On surveillance video from the locations, police also noted the suspect’s distinct stride, which led them to deduce one person was responsible for all three crimes. Cortese’s getaway vehicle was also caught on video following the U 1st robbery, a pickup that turned out to have been reported stolen from the gas pumps at Stripes on Pierce Street on the afternoon of Jan. 11. The suspect can be seen on surveillance video from Stripes placing the bicycle on which he was riding into the back of the pickup and driving off in it after the owner entered the store. Some of the clothing and the stride of the thief were the same as that of the suspect in the robberies. Through investigation, officers were able to connect evidence to Cortese – with whom they had had prior encounters – and began attempting, unsuccessfully, to make contact. Cortese’s phone was pinged Jan. 12 near the intersection of Comanche and Apache in Carlsbad, and detectives began conducting surveillance. According to the criminal complaint, police observed Cortese and his brother for around half an hour before they left the location in a black pickup and began travelling along U.S. 285. CPD officers and Eddy County Sheriff’s Office deputies began attempting to initiate a traffic stop, at which time the pickup turned around on 285 and returned to Comanche before coming to a stop. During the traffic stop, police noted the license plate on the pickup did not belong to it. The VIN number returned as stolen from Caveman Auto Repair in Carlsbad, and the truck was subsequently towed to CPD. The complaint states Cortese admitted to having methamphetamine and several glass pipes in the vehicle. His brother, meanwhile, was brought in for questioning and stated the stolen truck had been driven to his property by Samuel, and the two proceeded to paint portions of the truck black. 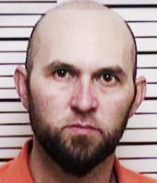 Cortese’s ownership of one of the clothing items worn during the commission of the Western Commerce Bank robbery was also confirmed, giving authorities probable cause to arrest him. Cortese is scheduled to appear for preliminary examination at 9 a.m. Jan. 23 before Judge D’Ann Read in Carlsbad Magistrate Court. The FBI, which was assisting the CPD with the investigation, said today no federal charges have been filed at this time.